Every fall PHEF launches an Annual Campaign to raise funds to help ensure opportunities and academic excellence for every student in the Pleasant Hill School District. We ask current and past parents, alumni, teachers, administrators, grandparents, friends, and neighbors to make the Pleasant Hill Education Foundation a top priority. 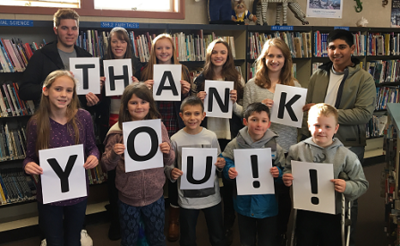 Funds raised via the Annual Campaign help provide essential resources to the Pleasant Hill School District's programs and has a direct and positive impact on every student, teacher, and administrator, enriching the experience for all. Please know that any gift, at whatever level is appropriate for your situation, is deeply appreciated. Every dollar counts and goes toward supporting a quality education for the students of Pleasant Hill!